The third installment of Michael Palin’s excellent diaries start with him starting out on his first travel series for the BBC – Around the World in Eighty Days, and from the outset it shows that even he had a few doubts about the project. Then in quick succession, we get the death of fellow ex-Python Graham Chapman, and his own mother – both subjects dealt with candidly. Michael, in fact, is extremely candid throughout the whole book, he is not afraid to let us know the things that have moved him to tears. 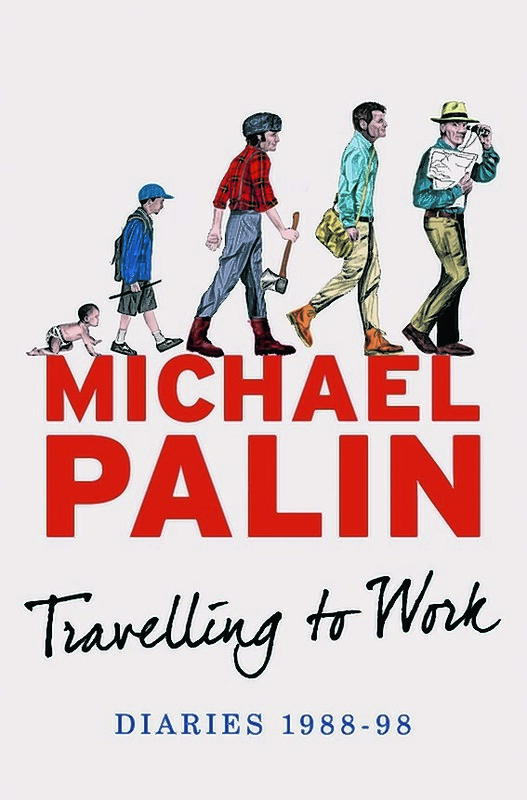 The ten years covered in this book were very busy for Michael, as he filmed three of his acclaimed travels: Eighty Days, Pole to Pole and Full Circle – as well as the process of writing these books. He films the follow-up to A Fish Called Wanda – Fierce Creatures, as well as numerous other projects including his own film American Friends (based on his great-grandfather’s diaries) and the TV series GBH; in which he co-starred with Robert Lindsay. On the family front; his children are growing up, going to University and entering the world of work; he opens up to others for the first time about his sister’s suicide and he tells us how he deals with talking about it for the first time; and his own wife’s illness when he was away filming Full Circle. Oh, and he writes his first novel too. As a writer, Mr Palin comes across as we see him on the screen. He has misgivings about always coming across as ‘nice’, but we do see the occasional occurrence of a bit of a temper – but not a lot. His friends are all spoken about with respect and frankness; he remains in contact with all the ex-Pythons – in fact he was with Graham Chapman when he passed away, and although he talks about dinners, lunches and get-togethers with the high and mighty, he does so with a humility that is – well, er – nice (sorry Michael). Although the book looks big, it flows easily and you get drawn into his daily life. It’s got some great and rarely seen photos too. He says that it will probably be 25 years before the next volume of diaries will be published (he’ll be 98). It’s a shame – perhaps he could do them in five-year segments instead of ten? Overall, it’s a superb insight into a popular and hard-working man. I hasten to say celebrity because even though he actually is – he doesn’t come across as being one.